AASHTO has named the Western New England Greenway's rural bikeways "USBR 7"
KENT, Conn. - July 13, 2016 - PRLog -- The Western New England Greenway (WNEG) recently gained highly-prestigious national recognition by being designated a "U.S. Bicycle Route" (USBR 7) by AASHTO, the American Association of State Highway and Transportation Officials. The designation officially places the USBR 7 on a national Adventure Cycling Association mapping system. The entire touring network system covers more than 11,000 miles in 24 states and the District of Columbia, and features mapped routes that include listings of nearby lodging, dining, cycling shops and heritage sites. 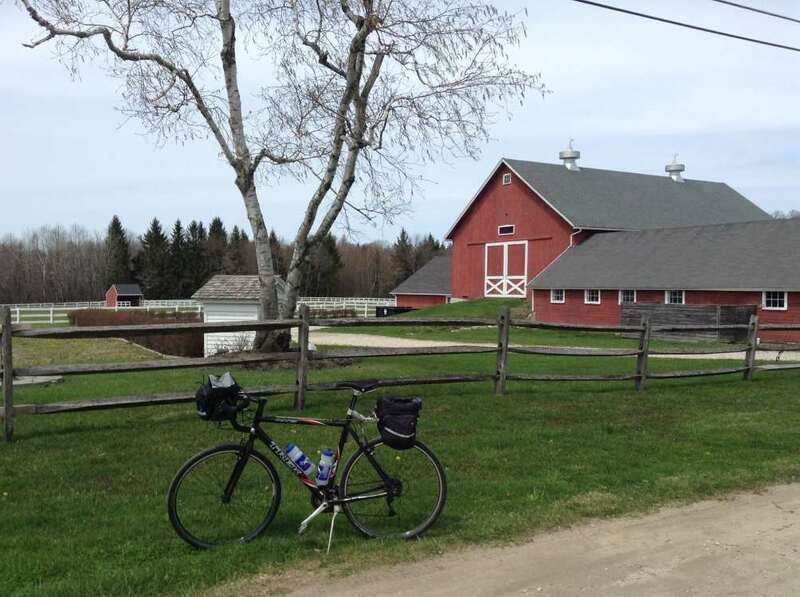 The WNEG-Western New England Greenway connects western Connecticut, Massachusetts, and Vermont along 380 miles of 'quiet' country back roads, and existing bike trails that connect, crisscross or parallel Route 7. Formed as a 'grassroots' ambition by volunteer cyclist enthusiasts, the WNEG is part of a multi-segment system that serves as an international link between two bicycle routes systems in two countries: The East Coast Greenway, which begins at the Merritt Parkway in Norwalk, and is a 3,000-mile route from Maine to Florida; and the 3,130-mile route, La Route Verte, at the Canadian border in Quebec. It also links the two iconic cities of New York City and Montreal via back-road bike routes. The 85.2 miles of the USBR 7 in Connecticut begins in Norwalk and is routed along the Housatonic River along gently-rolling terrain marked by farmland and river views. Bucolic countryside vistas separate Norwalk and Danbury and the bike route includes a ride along the Saugatuck Reservoir in Weston. When entering New Milford, cyclists are encouraged to stop at Lover's Leap State Park, and travel toward Kent where they cross two covered bridges, the West Cornwall Bridge and Bull's Bridge. The ambitions of the volunteer cyclists who formed the WNEG was to highlight the many scenic bike routes connecting Connecticut, Massachusetts and Vermont. The multi-segment, multi-state Greenway has been developed with supportive administration by the not-for-profit Upper Housatonic Valley National Heritage Area (Housatonic Heritage), the Champlain Valley National Heritage Partnership in Burlington, VT, and the National Park Service RTCA – Rivers, Trails and Conservation Program which provides technical assistance. "AASHTO's USBR 7 designation," stated Upper Housatonic Valley National Heritage Area Executive Director Dan Bolognani, "offers significant national recognition that will help build awareness across the country of the beautiful and historically-significant areas along the WNEG route. It will help attract many bicycle touring enthusiasts who, on average, are in their 50s to 70s, retired, possess a comfortable level of disposable income, and enjoy our nation's many cultural, natural and historical attractions." Since 2010, the "grassroots" group of volunteers from CT, MA and VT have worked to establish the WNEG by encouraging various local groups in the three adjoining states to collaborate on a larger vision. The volunteer committee coordinated four annual conferences, created a website and Facebook site, and published maps of the most favorable on- and off-road routes that now comprise the Western New England Greenway. For more information about the Western New England Greenway programs download the flyer at http://wnegreenway.org/bike-route/wp-content/uploads/2015/05/Bike-Tour-2016.pdf, visit www.WNEGreenway.org, on Facebook: www.facebook.com/WesternNewEnglandGreenway or email: Info@WNEGreenway.org. Acts 4 Ministry Forms Alliance With Homeless Outreach Program "CHD Hospitality Center"
Acts 4 Ministry in Waterbury, Connecticut Seeking Donations for Back-to-School Uniform "Swap & Shop"